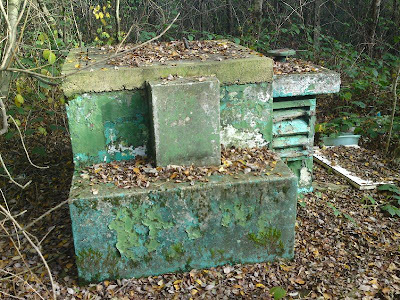 Over 1,500 of these small bunkers were built at various points around the country during the Cold War. 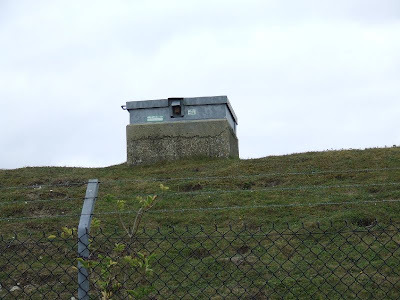 They were designed to house three members of the Royal Observer Corps, whose job it would be to use supplied equipment to gauge the bomb power and ground zero of a nuclear blast and report back to a group H.Q. 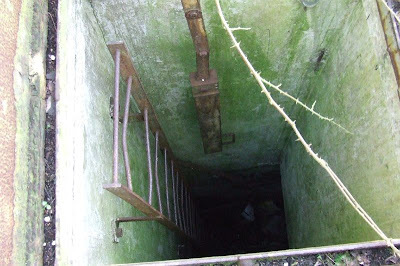 The posts were built to a similar design, with a single monitoring room 15ft below ground, which was accessed by a ladder with a hatch on the surface. 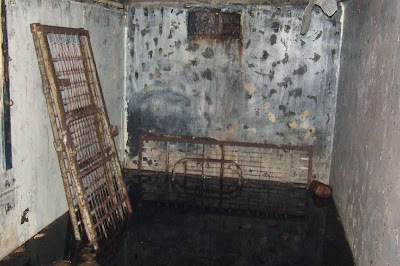 Internally, the furniture, bunk beds, communications and monitoring equipment remained standard. 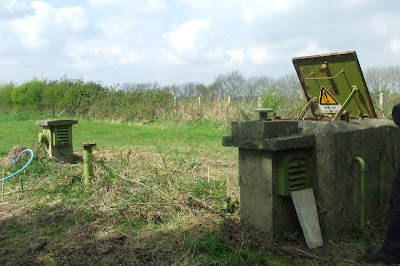 The posts began closing in the late 1960s with the last few remaining operational until 1992. Many of the posts have now been destroyed or are in poor condition due to vandalism, most of the remaining ones are on the edges of fields or areas of unused scrub land at the side of roads or foot paths. Fortunately, some people have begun recognising the importance of these pieces of history and some posts have been painstakingly restored. Subterranea Brittanica recently completed a survey of all of the posts and have a report for each post on their website. This page will be updated as more posts are visited, latest additions: Brixham, Devon. Pictures are arranged alphabetically by county. 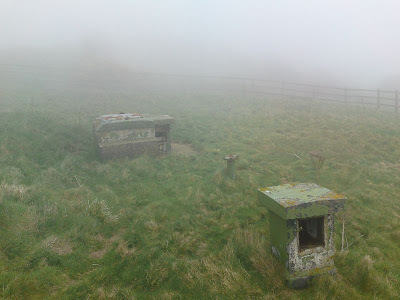 ROC Posts are mostly privately owned and should not be entered without the permission of the owners, some are located on common land, but they are unlikely to be open. Look out for open days of restored posts! For a plan of a typical post, click here, below is a photo tour of a Post. This post was opened in 1960 and closed in 1991. It is fitted with two new padlocks and is within one of the two Berry Head forts, on a nature reserve, but unfortunately there was no one on site to ask about access. It has an unusually high GZI mount, and has been fitted with a plaque explaining its function. 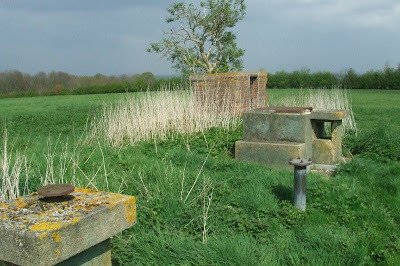 A WW2 ROC aircraft observation post stands nearby. This post is located on some waste land close to a main road. It remains in good condition, still retaining its original paint. This post opened in 1962 and closed in 1968. It is located within the grounds of a campsite, which I was visiting as it is also the location of Yaverland Battery. Unfortunately it is sealed and the FSM pipe and vent have been removed. Sub Brit report it as being flooded. This post opened in 1961 and closed in 1968. It is interesting as it was a non-standard design, being incorporated into a magazine for a 19thC gun battery. Unfortunately, there is no indication of the post today, but presumably the monitoring room still exists underground. This post is located on farm land, next to a public footpath. 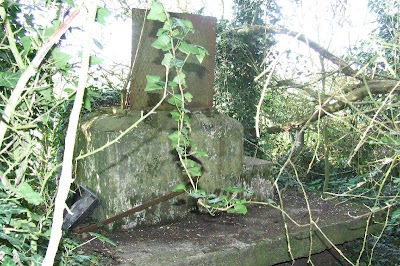 The compound is quite overgrown, but the hatch can be seen as being slightly stuck open. It opened in 1960 and closed in 1991. This post opened in 1962 and closed in 1968. It is reported on Sub Brit as empty inside, but clean and dry. There is currently no access and the surface features are damaged, but most of the compound fencing still remains. This post was opened in 1966 and closed in 1972. It is located next to a public footpath through National Trust land and remains locked. The compound fence has been removed leaving only the gate posts. This post opened in 1968 and closed in 1991. It is currently locked, and surface features remain in good condition. This post opened in 1962 and closed in 1991. It is located in a compound off the main road, near a caravan park. This post opened in 1960 and closed in 1968. The interior is in poor condition, but the chemical toilet remains. The land close to the compound is currently being excavated, so it would not be surprising if this post is destroyed in the near future. An aircraft observation tower stands next to the post. It is located on a track through farmland, high up on a hill. 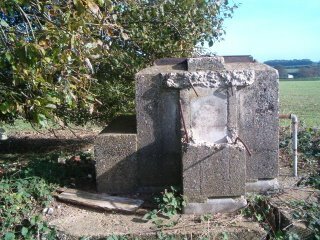 This post opened in 1960 and closed in 1991, but unfortunately has been heavily vandalised. It is located at the edge a a field. This post is located on the cliff edge near Martello Tower No.3. The hatch has been welded shut, it opened in the 1960s, but closed shortly after. This post opened in the 1960s after the first Folkestone post closed and itself closed in 1991. It is located in a fenced compound off Crete Road West. Conditions inside were recently reported good, but it is now privately owned after a recent sale. 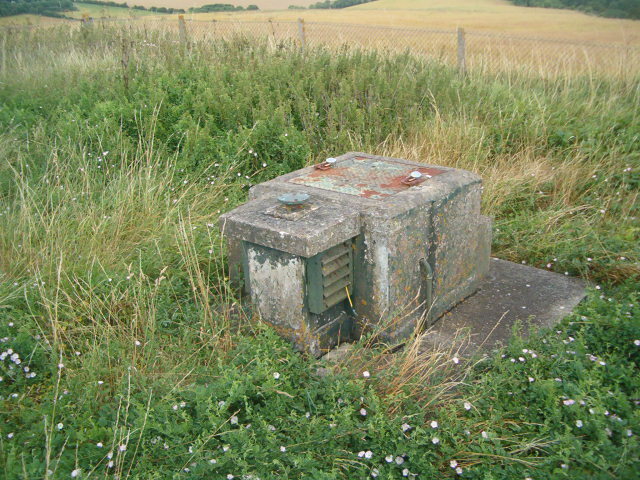 This post is located at the edge of a field, it opened in 1961 and closed in 1991. 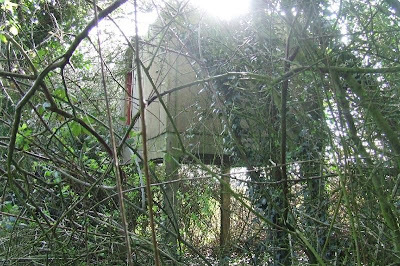 The compound is overgrown with bramble and the post vandalised. 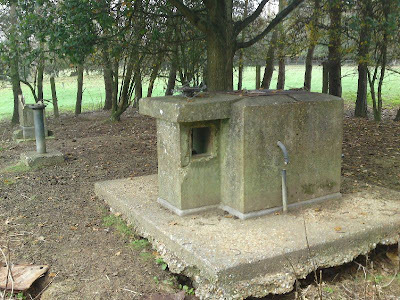 A WW2 aircraft observation post is located next to the bunker. This post opened in 1966 and closed in 1991. 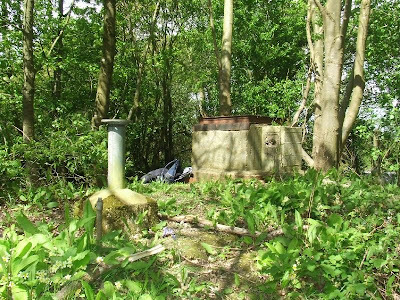 The compound around this post is completely covered in bramble and stinging nettles and the hatch is either welded or rusted tight. This post opened in 1965 and closed in 1991. 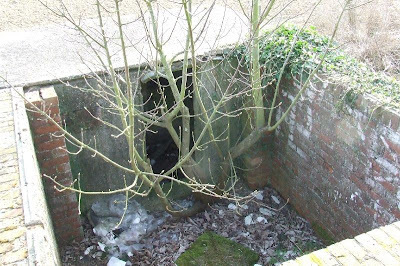 It was flooded but has been purchased by a member of Sub Brit and has been restored and is sometimes opened to members, no items of value are left in the bunker. Looking up the shaft, with lid shut! This post is located next to a path through a sheep field at Swingate, it is currently locked. It opened in 1962 and closed in 1968. This post opened in 1959 and closed in 1968. On Sub Brit's visit in 1997, the post was open, but inside was heavily stripped. Now, the shaft has been filled with concrete and the ladder completely buckled. The compound is also completely overgrown. 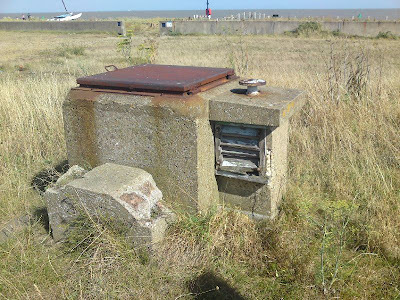 This post is located on the seafront next to a Martello Tower, which is being used by the Coastguard as a lookout, they remembered it being open some time ago, but it is now welded shut. It was operational between 1962 and 1968. The surface features remain in reasonable condition, and the dome on the vent indicates a 'Master Post'. This post opened in 1957 and closed in 1968. 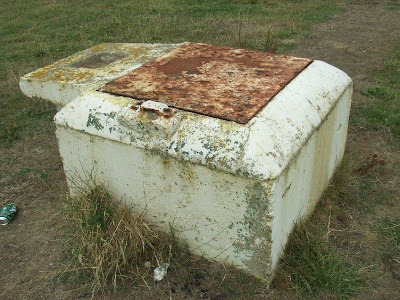 It is reported on Sub Brit as having been destroyed, but on a recent inspection of the area I noticed a possible entrance hatch, about the size of an ROC one, but it was located within a radio mast compound, so I could only get a picture from the outside. Possible entrance within the secure compound? This post opened in 1958 and closed ten years after. The hatch has been replaced with a heavier one than the standard, and has been welded on one side. It was open a few years ago and appears to be poor condition inside. This post opened in 1960 and closed in 1991. It is located in a wooded area next to a main road. The exterior is in good condition, with much of the original paint remaining, but it is locked with a T-Bar type key, recent pictures show the inside as having been stripped of most of the contents. This post was opened in 1962 and closed in 1991. It has been restored by Mark Russell of ROC Remembered and is open to the public on special days. 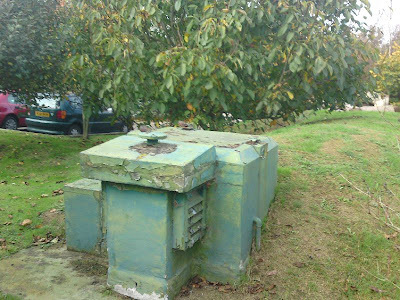 See above for internal pictures of this bunker, no items of value are left inside. This post is welded shut, and it it not known what the conditions are like inside. It opened in 1960 and closed in 1991. Surface features are in reasonable condition, with green paint still remaining. 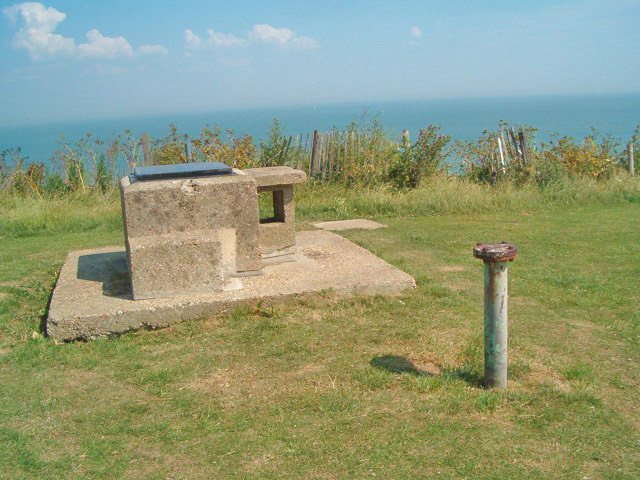 It is located in a public open space on Fairlight cliffs. This post opened in 1961 and closed in 1968. Post is locked, but the interior is believed to be in good condition. The compound is full of bramble and stinging nettles and is located in some waste land next to some allotments. This post took two attempts to locate, and I'm not 100% sure that this it as some new buildings have appeared in the area and may have resulted in the destruction of the post. It was opened in 1960 and closed in 1991. This picture shows what I think is the compound. 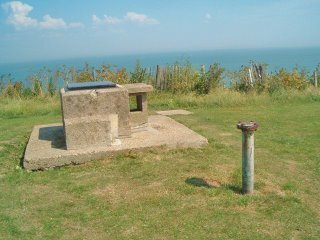 This post has been demolished, but has been reconstructed at Newhaven Fort. This post opened in 1961 and closed in 1968. 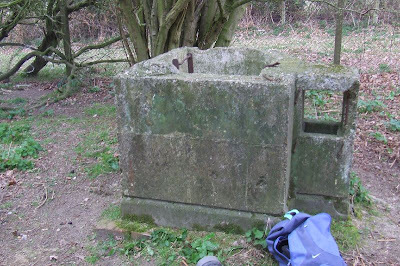 The hatch was open in the last few years and found to be in good condition, but has since been welded shut. A sign nearby mentions the post and a brick building next to the post is the remains of an aircraft observation tower crew quarters. This post opened in 1961 and closed in 1968. It is hard to imagine one in a worse state that this. The only recognisable remains inside are the bunks. The FSM pipe is missing and even the vent has been destroyed. It is located next to a footpath above the village. Entrance, the hatch has been removed. This post opened in 1962 and closed shortly after in 1968. 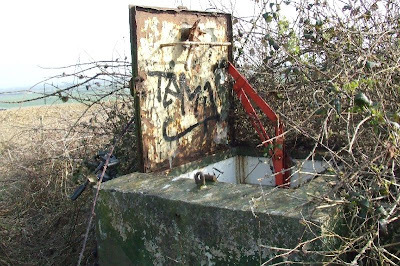 The hatch is open, but has been filled with concrete, externally it is in poor condition. It is located in some woods above the village. This post opened in 1959 and closed in 1968. It is a master post and appears to be in excellent condition. It is located on a raised bank next to the road.